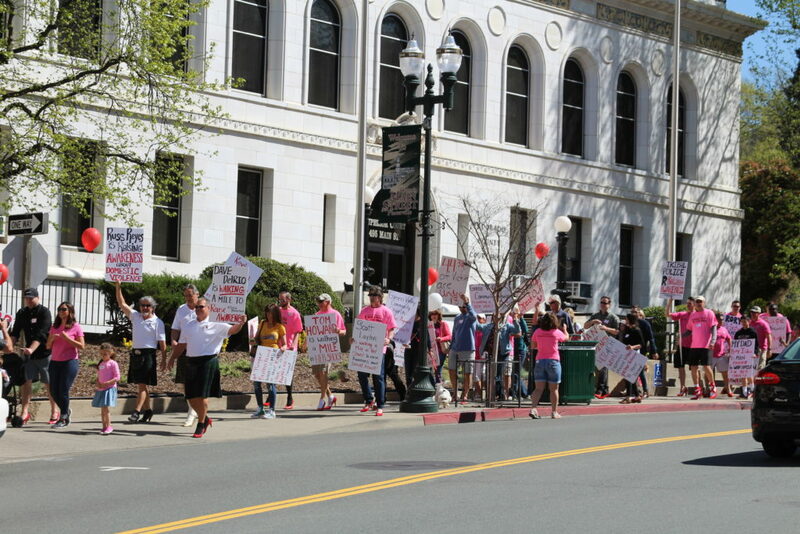 On Saturday, May 4, 2019, The Center will hold our Annual Walk a Mile in HER Shoes© event on Placerville’s Historic Main Street where men will step into some crazy large women’s high heels and walk a mile to raise awareness about violence against women and girls. Game on — can you sport a pair of heels for a whole mile? Challenge your friends to get involved by organizing a team and competing to see who can raise the most funds. We have some High Profile Community Members Walking this year! CLICK HERE TO Sponsor a High Profile Walker or Team! The Center for Violence-Free Relationships provides heels for participants on a first come, first serve basis (sizes 9-15). If you want to make your own statement, feel free to purchase your very own pair! Challenge your friends to get involved by organizing a team and competing to raise the most funds! To learn more and get involved contact Julie Sena at StevieM@TheCenterNow.org or 530.295.4202.